Jo Malone London Pomegranate Noir Bath Oil, 8.5 oz. 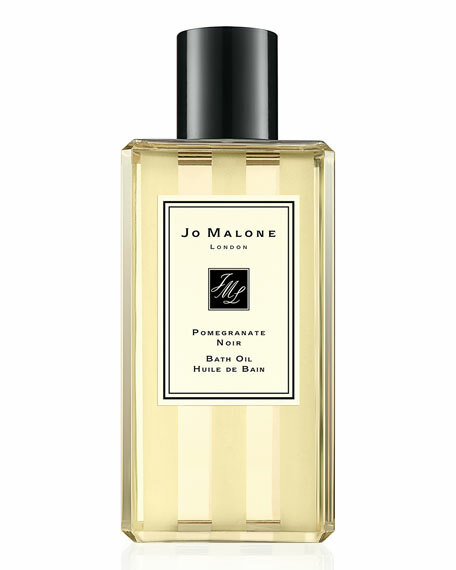 Jo Malone LondonPomegranate Noir Bath Oil, 8.5 oz. Inspired by the allure of a scarlet-coloured silk dress, Pomegranate Noir is an enigmatic scent. Ancient pomegranate, raspberry and plum are crowned with precious frankincense and patchouli to create a mystery that unravels with time.